The summer heat can be tough to beat, especially when you live in a sunny climate! Today, the Kingpin is here to tell you about a great new way you can shade your yard and use your creative juices at the same time. We’re talking about shade sails, baby! With a shade sail in your back yard, you can enjoy hours of cool relaxation without worrying about the sun. They are a super simple and effective way to provide a lot of shade for just a little cost. With more shade available, you and your whole family can keep from getting sunburned and stay comfortable from dawn to dusk. Who wouldn’t want that? Did you know that you can make one of these great shades all on your own? You may have wondered how to make a sail shade for patio use before, especially if you’ve seen one of these great products in your neighbor’s back yard. Never fear! Now you don’t have to envy your neighborhood braggart, Bruce, anymore (nothing against all you Bruces out there of course, most of you are most probably quite nice). Instead of spending your honest wages on a pre-made shade, you can take it one step further and save a lot by learning how to make a sun shade sail on your own. It’s not hard, and it costs a lot less than buying a brand new sail. Best of all… it’s CUSTOM MADE for your own living space. And that, my friends, is awesome. Making your own shade is a fun DIY project you can get the whole family involved with, so grab a glass and sip on some lemonade, and read on to learn how to make a shade sail that will keep you cool for years to come. Last update on 2019-04-25 at 15:46 Product prices and availability are accurate as of the date/time indicated and are subject to change. Any price and availability information displayed on [relevant Amazon Site(s), as applicable] at the time of purchase will apply to the purchase of this product. Before you can get started, of course you’ll need to get all the materials necessary to learn how to make a sun sail shade. You can’t get your project off the ground without the right equipment, after all! Every item is crucial for exploring how to make a sun shade sail, so don’t cut corners or skip anything on the list. It’s all there for a reason, and you’ll be glad you have it when you’re in the middle of your project. You don’t have to be an experienced carpenter to complete this task! All you need to do is use a drill, a wrench, and a sewing machine to have the perfect shade sail in no time. Best of all, this is a one-day project, so you can get it finished on your day off. When learning how to make shade sails, the most important step is picking the right fabric. You can’t have a great shade sail without weather-resistant fabric! Different yards and climates need different kinds of material, so think about your needs before you pick your fabric. Keep these tips in mind to choose the right material for your shade. Choose a light and breathable material like shade cloth. Shade cloth comes in a variety of colors. Use a measuring tape to measure the distance from the side of your house to the edge of the area you want to shade. If you are covering your yard between posts or pillars, measure the distance between the posts to find the perimeter of your shaded space. Add an extra yard for additional sewing as needed, and to give yourself room for error. Cut your fabric to the length you need to cover your outdoor space. What can you do with fabric? You can sew it, of course! You can’t get very far sewing a shade sail without a sewing machine, so make sure to have a sturdy one on hand for this project. You’ll also need all of the pieces to operate your machine, including a powerful needle. Follow these easy tips for selecting the right sewing machine for the job. Choose a﻿﻿ sewing machin﻿﻿﻿e that has industrial strength settings or can handle a heavy-duty needle and thick fabric. If you already have a sewing machine, check the manual to find out if it can be used with a stronger needle attachment. You may need to remove the foot from your sewing machine to use it with sail cloth. You will need a few tools and crafting accessories to finish your DIY project. It wouldn’t be a project without opening the toolbox, would it? Most of these are ordinary items you probably already have around the home or garage, but double check the list just to be sure. Keep these on hand for an easy time from start to finish. Drill . 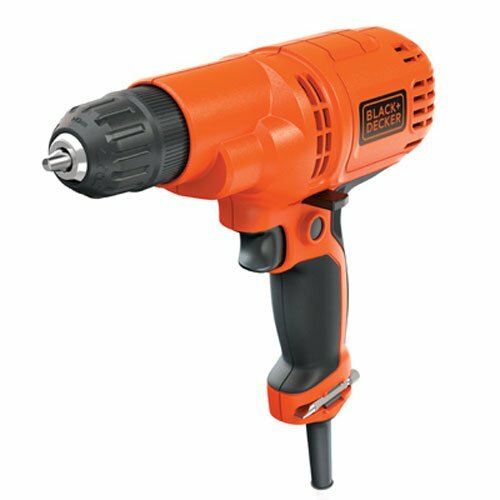 An e﻿lectric drill with a standard drill bit will get the job done. Wrench. Choose a large wrench for tightly screwing eye screws into posts, fences, or the side of your home. Scissors. 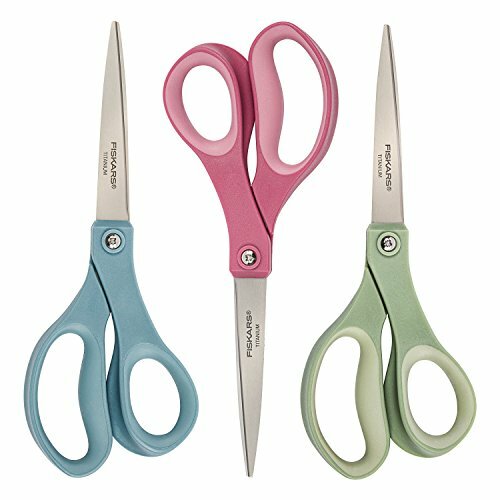 Select new, sharp scissors that are durable and can withstand use on thick fabric. Upholstery thread. You will need to make any sewing adjustments using heavy-duty upholstery thread in a color that matches your sail cloth. Pick up these additional pieces of hardware to make installing your shade sail even easier. Once again, you might have some of these items lying around from past projects, especially if you’re a seasoned DIY pro. If you don’t, these are all easy to find, and none of the hardware is very expensive. Get everything together before you start. Eye screws. Purchase one large eye screw per each anchor you will be using around your yard. D-ri﻿ngs. 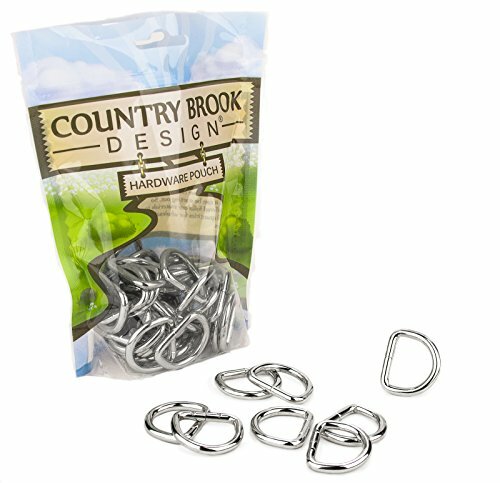 Choose sturdy, large d-rings from a craft store. Buy one for each anchor you will be adding to your sail. Carabiners﻿﻿﻿﻿﻿﻿. 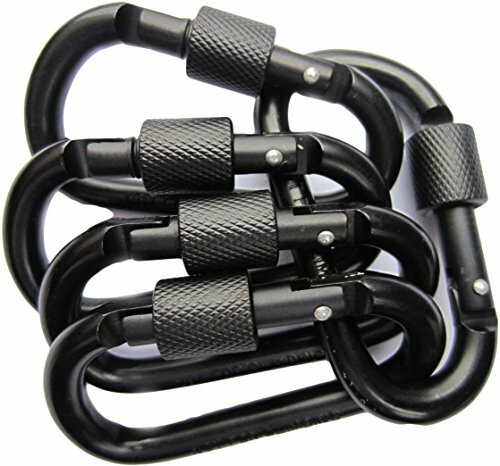 Use sturdy carabiners for mountain climbing and outdoor activity. Buy one for each anchor. Wood. Depending on your back yard setup, you might not need any additional wood. However, if you plan to install your shade sail on the side of your home, you might want to nail up a few pieces of wood instead of drilling directly into the side of the building. Now that you have your materials, it is time to get started! Keep reading for more instructions on how to make a sail shade for your back yard. You’re one step closer to completing your project already! Are you ready to learn how to build a shade sail structure and set up your perfect outdoor space? There’s a little more work you need to do before you’re ready to install, but you’re already well on your way to a cooler back yard. Follow these handy instructions to turn your back yard into a cool and relaxing paradise. The first step to completing your DIY shade sail project is setting up the appropriate work space. You can’t be expected to get anything done with your tools and materials scattered all around your house, can you? Use these tips to get your indoor and outdoor spaces ready for your new sail. Set up your sewing machine and gather your craft items inside. Keep your scissors, thread, and measuring tape nearby. Outside, gather your drill, wrench, and hardware. Keep any other tools handy in case you come across a use for them. Be sure to know how to measure for a shade sail. Measure the area where you will be installing your sail, and keep the measurements handy by your indoor work space. Measure the perimeter of the patio or other space you will be shading. Add a small amount to this measurement before cutting your sail cloth. Finally, it’s time to break out that sewing machine! Sewing your sail is an important step, so set aside lots of time to work through this part of the project. Carefully sew your sail according to your measurements, and leave room for your hardware attachments by following these instructions. Open your sail cloth and roll it out onto a large, flat surface. Using the measurements you took in the previous step, cut your fabric to slightly larger than you will need for your shaded space. You can always cut off more later if need be. Fold a 2-inch hem around your sail cloth and sew it using your heavy-duty sewing machine. Do not forget to use upholstery thread and a strong needle for this step. Using strips you have cut from the edges of your sail cloth, sew loops every 12 inches along the perimeter of your shade. Sew over the loop attachments several times to be sure they are held in place. If you have a very large shade sail, such as one that you will use to cover a pool, you may want to space out your loops to every two feet instead. Smaller sails can be anchored with a loop at each corner. Trim any excess threads from your shade. Now that you have your shade sail sewn and ready to get set up, you can finish preparing your outdoor location. Get it ready before you install your sail. You can’t put up a sail without a place to put it, after all! Pay close attention to how to fit a shade sail in your space, and follow these tips every step of the way. Head back outside with your sewn shade sail and examine your space. You should ideally install your sail between wooden posts, trees, fencing, or your home itself, so you have something to anchor your sail to. If need be, drill a few pieces of wood to the side of your home or other structure to provide an anchor for your sail. If you will be using a fence as one or more of your anchors, an extra piece of wood can help provide more support here as well. Finally, your last step is to install the shade sail. Don’t be nervous! This part is where your hard work all comes together. When you’re done with this part of the project, all that’s left is to stop back and admire your hard work. Drill a pilot hole into each of your shade sail anchors. In each pilot hole, use your wrench to screw in the large eye screws tightly until they are fully installed. Attach your D-rings to each one of the loops you sewed around your shade sail. Clip one carabiner to each D-ring around your sail. Stretching out your sail, work your way around the perimeter by clipping each carabiner to a matching eye screw on one of the sail’s anchors. When you have finished this process, your shade sail should be stretched over your outdoor space and firmly attached to each anchor you have selected. Now, your DIY project is complete! You can sit back, relax, and enjoy all the benefits of a comfortable shaded space right in your back yard. Keep reading to learn about troubleshooting and other tips for keeping your shade sail working properly for many summers. There’s no need to let all your hard work go to waste! Now that you’ve learned how to make your own shade sail and how to install it in your back yard, you probably want a little more information. You’ve got a new fixture in your yard, and it’s important to learn how to take care of it properly. Understanding how to sew a shade sail is only the first step toward a great outdoor space you can enjoy year after year. Read on to learn how to add a lot of life to your sail. When you follow these tips, you’ll have a shade sail that your whole block will envy, and you can use it again and again. You have a few options when it comes to picking the perfect fabric for your back yard. Most choices come in many colors, so you can match your yard décor, which is always a plus. Here are some favorites that have become popular with DIY sail shade fans. Muslin. 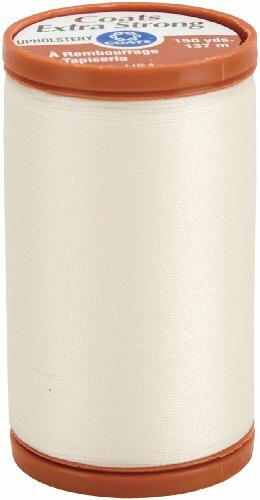 Working with muslin is much easier than sail cloth, and it can also be a more affordable choice. However, it is not weather-resistant, and may need to be replaced frequently. Sail cloth. More DIY projects involve sail cloth, but this is not always the best solution. Sail cloth is heavy and dark, which may not work well for a very humid or tight space. However, it is much more durable than muslin. Vinyl or tarp. Today, most homeowners do not want a sail shade made of vinyl or tarp. However, these materials are very durable and easy to clean. They can work in a pinch, but are not as attractive or comfortable as muslin and sail cloth. Keeping up your sail shade has never been easier. Maintenance can sometimes be a hassle, but when you’re working on your shade sail, it’s an easy way to avoid big problems down the road. Follow these tips to maintain the life of your back yard shade without having to spend a fortune. Take your sail shade down when you know there will be strong storms or heavy rains. Even if it is made of a durable fabric, you can extend its life by storing it safely from wind and rain. Remove your sail cloth on very bright days when you will not be using it. Sun damage can weather shades over time. Frequently check your D-rings, eye screws, and carbiners for damage or rust. Swap out rusted or breaking hardware as needed with new pieces. Pay attention to your anchors. If you notice strain on the wood or trees you are using, consider moving your shade or reinforcing its anchor. Sometimes, it’s necessary to repair your sail shade, even if you take great care of it. Accidents happen, and all it takes is one time for your dog to chew on your shade or your kids to play too rough, and you’ll have a hole to deal with. Although some damage may be too severe to repair, most can be easily taken care of with these tips. Repair rips in your cloth with your sewing machine using upholstery thread. If a tear is too large, you may need to make a patch using excess sail cloth. Cut a patch a couple of inches larger on all sides than the hole in your shade. Hem it using upholstery thread with a one inch hem all the way around. Sew it over the hole in the shade, and sew the hole closed as much as possible. If necessary, patch both sides of the shade for extra reinforcement. Choosing the right location in your back yard may be more difficult than you might think, but it doesn’t have to be. The perfect location is easy to figure out when you spend some time considering your yard. Follow these tips to pick the perfect place for your sail shade. Choose an area where you and your family will often sit. Covering a patio or deck is a great option. It is possible to make a sail shade large enough to cover your pool. Be sure there are anchor options surrounding your pool if you choose to try this. No matter where you plan to install, be mindful of anchors. A deck or patio with a nearby fence can provide easy anchors between the fencing and your home. Trees also make good anchors. Do not cover a grill or other outdoor cooking device with your sail shade. Give your grill space to breathe and smoke as needed. Do not install your sail shade higher than necessary. If you put it up too high, you will have trouble reaching it to take it down when needed. Are you feeling like this might be more trouble than it’s worth? It’s normal to feel that way when you’re getting ready to start on a big DIY project, but remember that there are pros and cons to just about everything. Weigh your options to help you make the right call for your yard. DIY projects are a fun way to let your creative juices flow while improving your home. It’s a lot cheaper in the long run to make a shade sail instead of buying one. DIY shade sails are easier to repair yourself. You’ll have bragging rights when you show off your shade to your friends. If you don’t already have power tools, making your own shade could get expensive fast. It will take the better part of a day to finish this project, so if you’re pressed for time, it might not be right for you. Making your own shade sail can be frustrating, especially if you have the wrong materials for the job. In the end, the choice is yours. If you have the time to spend working on a shade sail, however, it’s a great way to improve your yard at a low cost and get a fun project out of it at the same time. Are you ready to get started making your new sail shade? By now, you have all the information you need to take care of your project from start to finish. You know how to pick the right materials and gather all of the tools you need to put your project into motion, and you even understand how to choose the right location in your yard to set up your new shade. Best of all, you’re armed with tips and tricks for taking care of damage and maintenance as needed to increase the life of your sail shade. Even if you’ve never operated a drill or a sewing machine before, you’re ready now to take on this exciting task of making your own sail shade. Don’t get discouraged, and remember to work slowly and carefully through each step of the process. In no time, you’ll have a beautiful shade ready to keep you and your family cool and happy for the rest of the summer!